Australis knows the fabled cape — and has put more people ashore there — than any other cruise line. The windswept island that harbors the rocky promontory hovers just above the Drake Passage, where turbulent waters from the Atlantic and Pacific oceans converge. 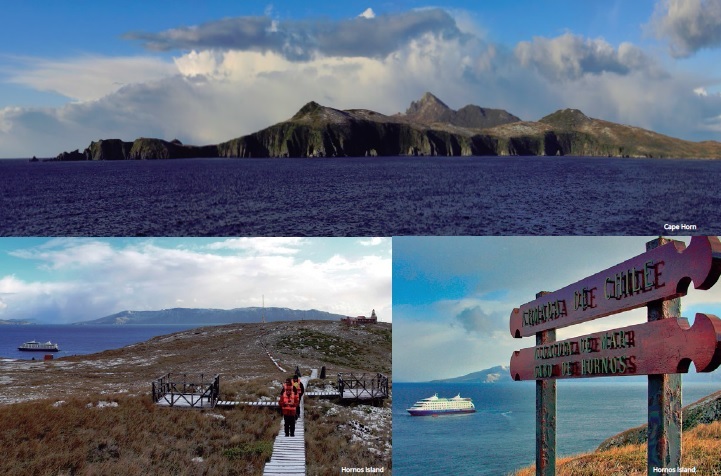 Often called the “End of the Earth,” the national park that includes Cape Horn was declared a UNESCO World Biosphere Reserve more than a decade ago and in 2016 celebrated the 400th anniversary of its discovery by Dutch mariners searching for a new route to Asia. In addition to its famous Albatross Monument, the island harbors a lighthouse, chapel and wooden walkways across a landscape with many rare and unusual plants. Along with dramatic geography, the region is home to a wide array of wildlife, a blend of typical South American creatures, polar species and migrating marine mammals. Among the common animal encounters during a cruise through the archipelago are elephant seals basking on a rocky shoreline, Andean condors hovering in the updrafts above a fjord, and penguins patrolling their nesting grounds. Humpback whales, dolphins and sea lions are common marine mammals. 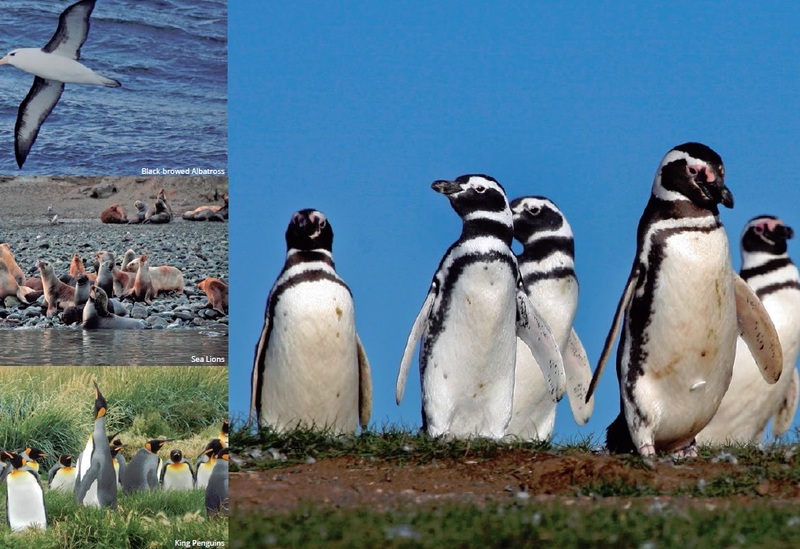 Birdlife is rich and varied, from iconic species like the mighty Albatross, Kelp Goose and Caracara falcon to the cute little Magellanic and majestic King penguins.